An Iranian professor writes that if Obama will discuss ownership of New York City, Iran will talk about its claim to Gulf islands. An Iranian professor writes that if President Barack Obama will discuss ownership of New York City, Iran will talk about its claim to three Gulf islands. Professor of geopolitics Pirooz Mojtahedzadeh said on Saturday that the United Arab Emirates must honor a 1971 treaty on the three Iranian islands in the Persian Gulf. Mojtahedzadeh is a lecturer at the United Nations University and an instructor of geopolitics doctoral studies at University of London. He said that he has written an article to be published soon, which addresses President Obama and tells him that “if the US administration is ready to negotiate ownership of New York, Iran will consider negotiations on ownership of its islands,” according to the official Iranian IRNA news agency. Sovereignty over the three islands has been a cause for a growingly bitter dispute between Iran and the United Arab Emirates. The Iranian academic said that when Tony Blair was the British prime minister, one of his aides had "speculated" about the islands, which were under British control from 1908 until the late 1960s. “'I wrote a letter to him to remind him that the UK had ended occupation of the Islands and gave them back to Iran in 1971. He later apologized for his unlawful remarks,” Mojtahedzadeh told IRNA. 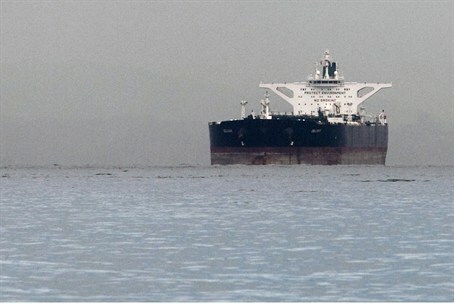 Abu Musa is a tiny island of 2,000 residents in the eastern Persian Gulf near the entrance to the Strait of Hormuz, and more importantly is one of the main ports for exporting oil from Iran.